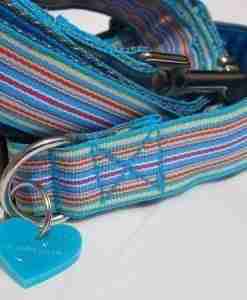 It’s good to look super cool in this lovely Ice Pop blue striped dog collar, just perfect for scampering around the beach on your holibobs … and the it’s lined with a delicious south seas turquoise to stop that scratchy sand causing an irritation ! 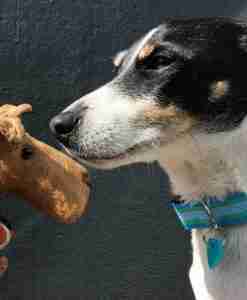 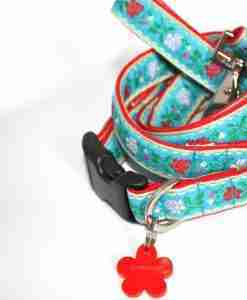 An exclusive Scrufts’ heart shaped tag is the final flourish – ta-dah! 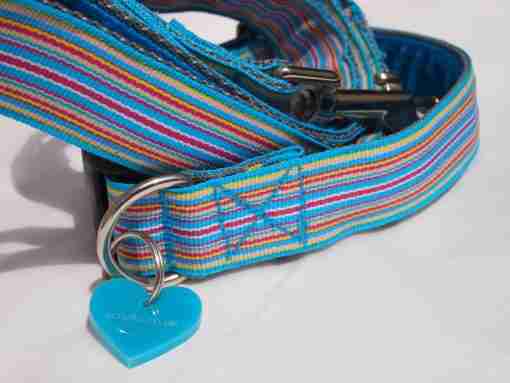 Your Ice Pop striped dog collar is made using strong polypropylene webbing, hardwearing striped fabric, Swiss velvet, metal dee ring and slider and a super strong curved side release clasp for ultimate safety. 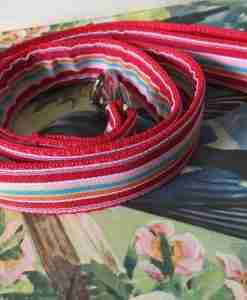 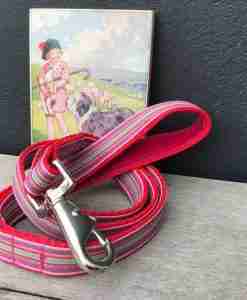 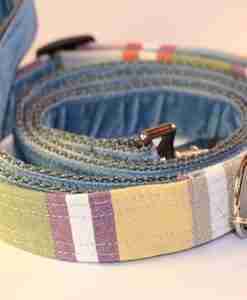 Each Scrufts’ dog collar and lead is made with care in my sunny Brighton workroom and is totally washable. 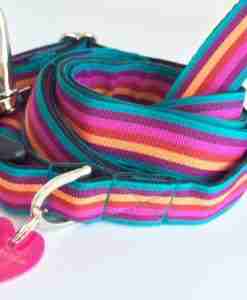 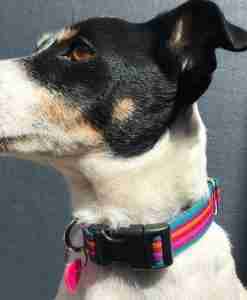 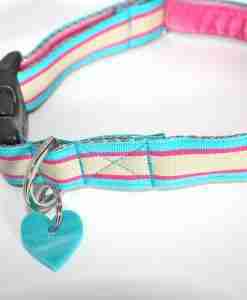 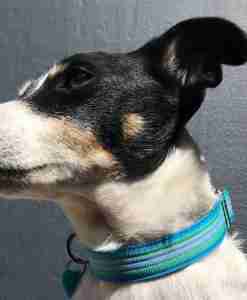 This collar is fun and bright; reminds me of the seaside and deckchairs! 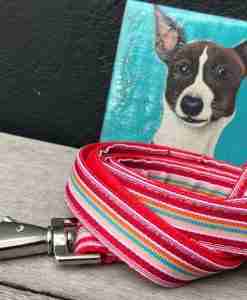 I bought it for my yellow Lab and he looks fab in it – the colour really looks great against his fur, but honestly would suit dogs of any colour 🙂 The turquoise velvet lining is the perfect finishing touch and makes it super-soft against my dog’s neck. 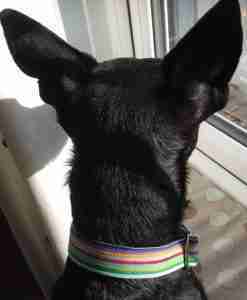 Thanks Scrufts!